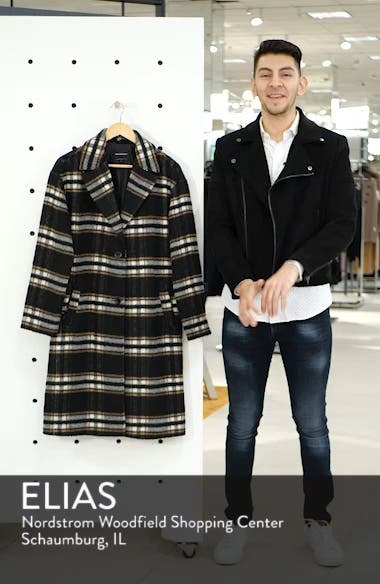 Cut in a chic, longline silhouette, this woolly checkered coat scores big on warmth and style. Choose a sizeRuns large; order one size down. XXS=00, XS=0-2, S=4-6, M=8-10, L=12-14, XL=16 (12W-14W), XXL=18 (16W).